A drug is any product that is intended for use in the diagnosis, cure mitigation, treatment , or prevention of disease; and that is intended to affect the structure or any function of the body. 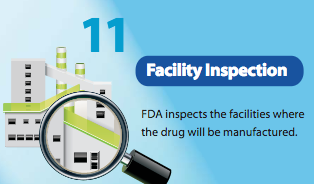 Before a drug can be used, it must pass the FDA’s approval process. 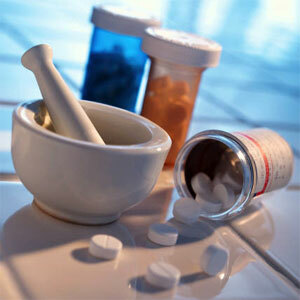 This process involves first testing the drug on animals or within medical labs. If found to be safe by the FDA and approved for the next phase of study, the drug is then tested for safety and effectiveness in humans (clinical trials). 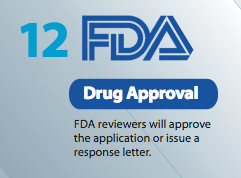 Are there any drugs that have a fast approval process by FDA ? The Accelerated Approval program allows earlier approval of drugs that treat serious diseases and that fill an unmet medical need. The approval is faster because FDA can base the drug’s effectiveness on a “surrogate endpoint,” such as a blood test or X-ray result, rather than waiting for results from a clinical trial. The Fast Track program helps reduce the time for FDA’s review of products that treat serious or life-threatening diseases and those that have the potential to address an unmet medical need. Drug sponsors can submit portions of an application as the information becomes available (“rolling submission”) instead of having to wait until all information is available. At the end of Phase 2, FDA and sponsors discuss how large-scale studies in Phase 3 will be done. Because it’s not possible to predict all of a drug’s effects during clinical trials, monitoring safety issues after drugs get on the market is critical. The role of FDA’s post-marketing safety system is to detect serious unexpected adverse events and take definitive action when needed. MedWatch is the Food and Drug Administration’s Safety Information and Adverse Event Reporting Program. MedWatch is used for reporting an adverse event or sentinel event. Founded in 1993, this system of voluntary reporting allows such information to be shared with the medical community or the general public. references : images/info from FDA official website.